Like previous years, this year too, many IITians, engineering and medical students from prestigious institutes shared examination tips and advice for JEE and NEET aspirants. 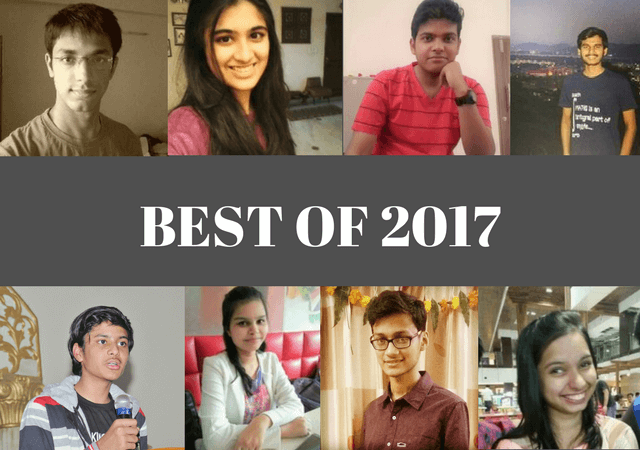 Here we are sharing 2017 summary of some of the best tips from the students who cleared IIT JEE and NEET, now helping and mentoring future aspirants through Mystudycart platform. Don’t get confused with questions like “How to start?” “From where should I begin?”. Start with your favourite subject. If you love maths the most, then take up the most easiest chapter left and start solving it. Take your time but solve the material honestly. I am saying to start off with easiest and favourite topic because this will give you confidence and once you become confident, you can do anything or probably most of the things. Post : How to Clear Backlogs in IIT JEE Preparation? Try to understand the purpose behind setting a question. The person who created the question expected that the problem will test a certain concept. Also realize that no question is unsolvable, but some questions take re efforts than others. Be open minded; and every now and then, you will come across a beautiful solution. Post : What Are The Best Ways to Solve Physics Problems? I would not suggest you to make notes of everything you learn because that would not be practical. We are not supposed to copy our textbooks down. However, after a while we all figure out what all we keep forgetting over and over again. Make a small notebook and write those things down. Only those things. Don’t make it bulky. Go through the notebook whenever you have time. Always keep yourself abreast with what’s going on in the class, avoid falling back. Whatever is taught in the class, should be covered at home immediately. You should not procrastinate at all. Post : How To Plan Out My Routine for IIT JEE If I Get Distracted Easily? Read through your weaker sections and then attempt problems related to it. Don’t get demotivated at any point of time if you aren’t able to solve a problem, rather take it as a challenge and think like if you solve it you’ll be able to learn something new. Post : What to do When you are Not Able to Solve Questions in JEE Preparation? Practicing is equally important in Biology as it is in Physics and Chemistry. Trust me, in the exam hall there are more chances of you not remembering what you read than remembering what you practiced. Post : How to Become Stronger at Biology for NEET? Making a handbook or short notes is the best option for revising any topic in JEE preparation. Don’t buy them from market, you have your own short notes and it is always recommended to make one in every subject and toppers do make them. Post : Handbook With Tricks for JEE. What to Include in Your Short Notes for JEE? Be honest to your work. Do not deviate from your goal. Not only just work hard, but work hard in the right direction – do smart work. An important factor in this last phase is self-confidence. I would say only half of the race is over so far. You need to be confident of yourself instead of getting confused now. Post : How do you maintain the vigour and zeal for JEE till the end? Be consistent, don’t give up. It is not easy to crack exam but its not impossible. A lot of factors contribute in studies, keep yourself motivated and work hard for your dreams because this is a race, there are always people out there to take your place. We like to thanks all our authors for providing valuable tips and advice to students preparing for competitive exams like IIT JEE and NEET-Medical. We will continue to publish more useful posts for our readers (aspiring students) in 2018, which would be helpful in the preparation of your target examinations. Targeting JEE Main, JEE Advanced or NEET? 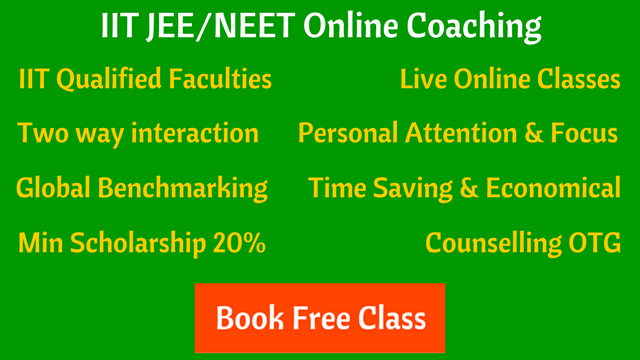 Checkout a Free Online Demo Class by an experienced and qualified (IITian) faculty.